The JK Tyre VEM 045 is India's largest off-road spec tyre and stands at 12 feet tall while weighing 3.4 tonnes. Defining upsizing in an all new way, tyre maker JK Tyre has entered the Limca Book of Records with India's largest off-road tyre. The 40.00-57 VEM 045 was launched in 2014 and stands at 12 feet tall while weighing around 3.4 tonnes. Before off-roaders get their hopes up about upsizing their SUVs, the VEM 045 has been specifically developed for the country's biggest rigid dump truck that has a payload capacity of up to 240 tonnes. 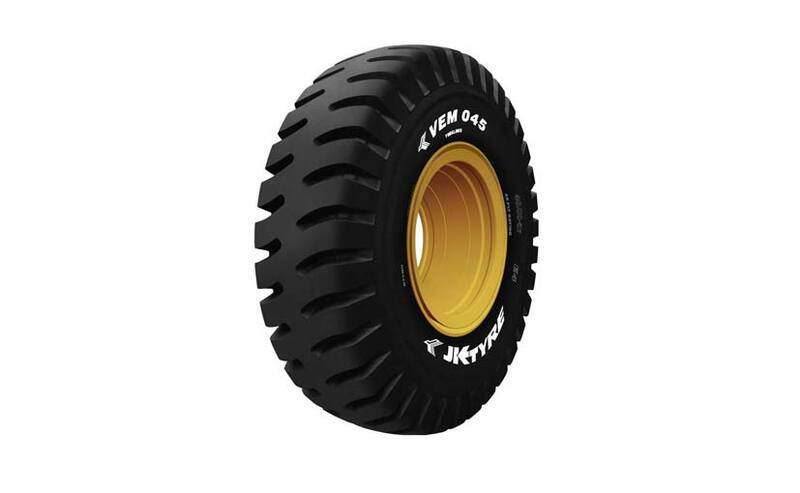 The JK Tyre VEM 045 is sold alongside a range of tyre options from the tyre maker. The company has been the pioneer of developing radial tyres in India and last year inaugurated a new and massive research and development centre in Mysore, Karnataka, which will be consolidating all of the company's efforts globally to develop new products. JK Tyre's range comprises passenger vehicles as well as industrial and mining segments.